The wild Brook Trout is an iconic symbol of pristine waters as it’s only found in the healthiest streams, rivers, lakes and ponds. Unfortunately, poor land and water use practices are severely affecting water quality and quantity and as a result, wild Brook Trout populations are declining throughout its native range in the eastern portion of the U.S. However, the good news is the plight of wild Brook Trout is reversible. By working collaboratively we can ensure there is enough clean water to conserve wild Brook Trout, sustain outdoor recreation, generate economic vitality, and provide inherent values for generations to come. The deteriorating health of our waters affects all of us, so before it’s too late, commit to making a difference by taking one or more of the following actions. Be the eyes and ears: Be observant of changes to water quality and quantity. Sometimes these changes can be subtle, like changes in color. Sometimes they can be overt like channelization, damming, and poor land management. Contact your state wildlife agency when you see something that doesn’t look right. Being the eyes and ears for the professionals extends their reach. For a list of state agency contacts click on this link http://bit.ly/1o3VA7B. Get involved in land use decisions: Planning boards, conservation districts, townships, counties, and most public land management agencies ask for public input. Be there and ask the question “How does this decision affect waters that sustain wild Brook Trout?” Provide your support for conserving Brook Trout habitat. Broaden your awareness: The Eastern Brook Trout Joint Venture website contains lots of practical, usable information about Brook Trout conservation. Get informed, and then use your knowledge to influence others to support the conservation of Brook Trout habitat. Volunteer: Spend time doing habitat improvement work or get involved with watershed associations or other similar conservation groups. Support Brook Trout Conservation: Brook Trout serve as the “canary in the coal mine” for our waters. The presence of viable wild Brook Trout populations indicates waters are clean and healthy. 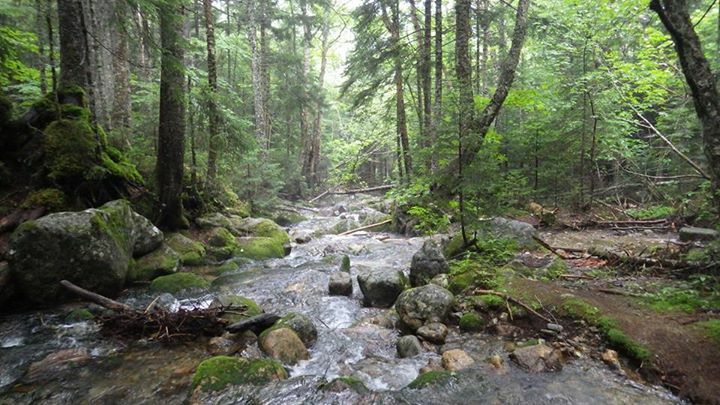 Join the Eastern Brook Trout Joint Venture: The structure of this Fish Habitat Partnership is designed so that organizations can participate at the level of their choice -- from range-wide to the local project level. To learn more about the EBTJV and how you can join click on this link http://bit.ly/1p4lnfv. Become Familiar with the Eastern Brook Trout Conservation Strategy: Many organizations have conservation goals that benefit wild Brook Trout. By becoming familiar with the EBTJV Conservation Strategy (http://bit.ly/Uc7aTA) you will be well positioned to assist in implementing collaborative conservation actions. Implement Brook Trout Friendly Business Practices: Business practices that sustain the health of our water can make enormous contributions to conserving wild Brook Trout. Contribute your Expertise or Resources to the Cause: Businesses possess assets that can support wild Brook Trout conservation. From public relations talent to equipment rental, conservation easements to corporate volunteer programs, business contributions are needed and highly valued. Many grant programs require matching funds. Monetary contributions are critically important financial resources that can be used as leveraging funds when applying for grants that support wild Brook Trout conservation actions. Making a tax-deductible donation to support the mission of the EBTJV is a simple straight forward process. Just click on Donate Now and then select Eastern Brook Trout Joint Venture in the first drop down menu labeled "Select a Cause" at the top of the page. Taking this step will bring you to the EBTJV donation page and you can complete the donation process. Every individual, organization, and business can contribute to conserving the health of our waters, thereby safeguarding wild Brook Trout. Your investment of time and resources to this cause pays substantial dividends as you also sustain outdoor recreation, generate economic vitality in local communities, and provide inherent values to be enjoyed both today and tomorrow.